Accepting responsibility and taking blame are hard on the ego! They are especially large and bitter pills to swallow when the fault is not our own. The problem in an organization is that if employees are carrying a score card and keeping a tally, your customer service is surely floundering. To flip that coin, if the organization’s performance is unbalanced and internal corrections are being overlooked it’s only a matter of time before employees are fed up and want to keep score. Great leadership and accountability will solve many problems, and this is one of them. Since those are really big concepts, let’s break the concept of “We” down strategically and then tactically. Strategically, building this concept starts with sharing. Everyone from top to bottom and all the way around get to celebrate victories and recover from setbacks together; employee ownership and responsibility then drive behavior and culture. 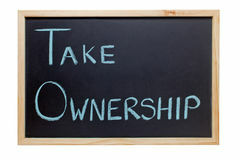 Taking ownership means that your people see themselves as an important piece of your puzzle. They can actually see how their contribution produces the widgets or innovates the technology that makes your company successful. If they feel that their contribution is far away from the end result, you’ll get performance that matches that distance. The companies that continuously make appearances on the lists of best companies to work for are companies that have nailed this concept. Tactically, teaching your customer-facing staff to gracefully and humbly accept responsibility on behalf of the organization regardless of where the hiccup occurred is of paramount importance. This isn’t an inherent ability for most people. There are born people-pleasers who figure this out early – but for the rest of your staff you’ll need to shape this behavior regardless of the size of your organization. You need to know that when deserved or undeserved fury is unleashed upon one of your people, they have learned the skills to neutralize and regain that customer’s confidence. The absolute first step to this, at all times, across all organizations and lines of business, is accepting responsibility. Admitting failure and showing the customer that there is a united front there to fix the problem is the ideal. Maybe it is a receptionist that can smooth the feathers of a long customer wait for a meeting. Maybe it is a server in a restaurant who handles your botched meal remarkably well even though they had nothing to do with the preparation. When people like what they do and for whom, the “We” becomes ownership, which becomes return customers. Please share a success you’ve had or witnessed.